When a fire occurs the first thing you do is dial 911. The firemen come and hopefully very quickly extinguish the flames, remove anyone caught in the fire and ensure there is no danger of the fire restarting. The firemen leave, now what? This is when you need to contact a fire damage restoration service. Unfortunately, the damage from fire and smoke can be long lasting and in many cases permanent. If not dealt with immediately and correctly smoke odors can set in and be very difficult to get rid of. Without the correct care, damaged wires or wet appliances can actually be ruined after the fire. 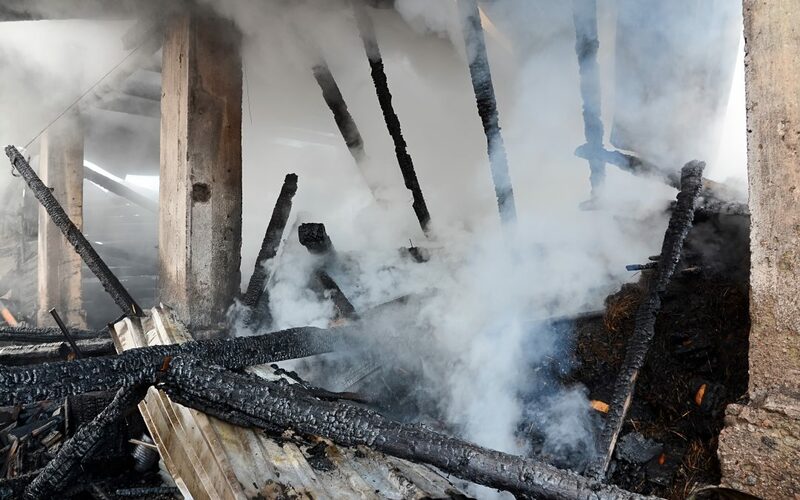 Smoke damage can be a health hazard and some items may actually be dangerous to keep. So what can you do to minimize smoke damage and save as much as possible? Turn off A/C to prevent spreading the smell to areas or rooms that may actually be ok. Change HVAC filter. Don’t attempt to turn on ceiling fans or any electrical appliances which may have wires damaged by the fire, heat or water during the fire extinguishing. Ensure a professional electrician examines and authorizes prior to use. Wipe down walls items covered in soot with dry cloth. Do not attempt to wash down walls or ceiling with water. Call a professional fire damage restoration company to deal with the fire and smoke damage cleanup. Remove items which seem to be OK as soon as possible from the fire damaged area to prevent them getting smoke damage or odor. What will a Fire Damage Restoration Service Do? Professionals will carry out a full inspection and assessment on the extent of the fire, smoke, soot and water damage to the area of the fire and nearby rooms. Examining both the visible and sometimes not visible parts are crucial to develop a plan of action and ensure that a full report is recorded to be presented to your fire insurance to ensure maximum coverage. Damaged roofs, ceilings, walls and windows may need to be boarded up or strengthened temporarily to ensure there is no safety hazard until the actual reconstruction or renovation is done. Extinguishing the fire may have required large amounts of water which may need to be removed and water logged areas need professional drying techniques to ensure no mold build up or additional damage is created from the wet floors and walls. Specialized Techniques and equipment are used to remove smoke and soot from all surfaces. With the right materials and expertise you will be amazed at what can be salvaged from a fire. It is imperative that the correct type of cleaning and a complete sanitation is done by professionals who can also assess what may contain asbestos or lead and needs to be discarded. Anti mold will also need to be applied to ensure no further problems or health hazards. Once the initial cleanup, cleaning and sanitization is complete and insurance claim submitted and approved you can get ready for the fun part. Hopefully, some good will come out of your unfortunate experience and the renovation which should be covered by your home insurance. Ensuring you have professional help to fill out and work with your insurance agent will make you more likely to get a maximum coverage for a beautiful remodeled space!